Now that's a respectable 1024x764 Ubuntu view in VirtualBox on my MacBook. 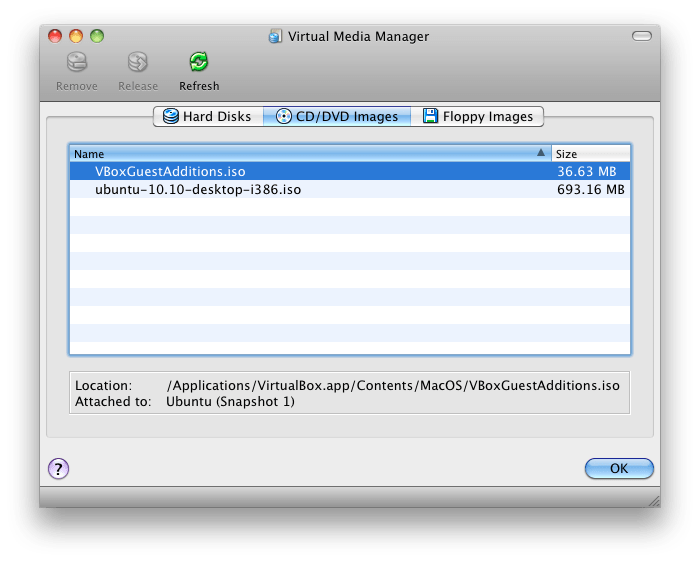 I use VirtualBox on my Mac for “other” operating systems. 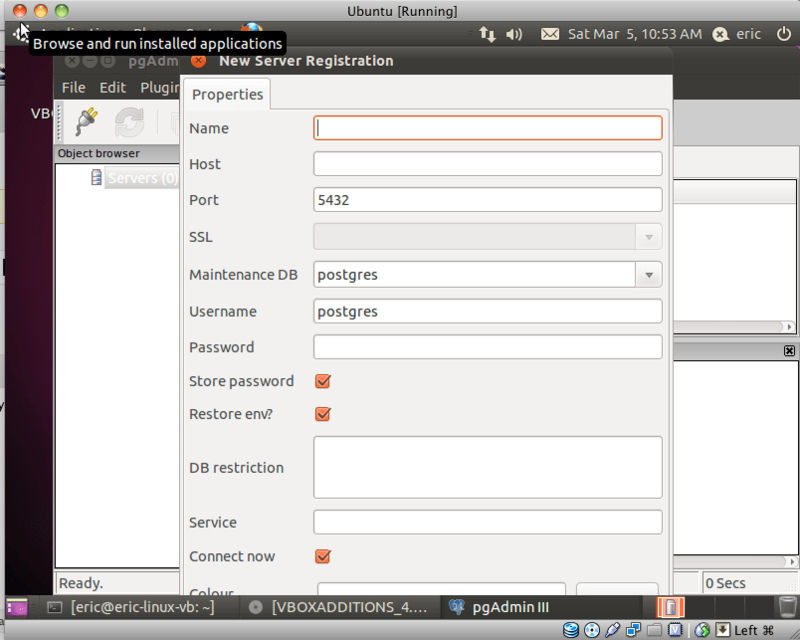 I was recently creating a new Ubuntu guest OS for doing some work with PostgreSQL on Linux. I like a GUI, so I was using pgAdmin. Normally I don’t care if the window is 800×600, but when I started using pgAdmin, I couldn’t see all of the window. 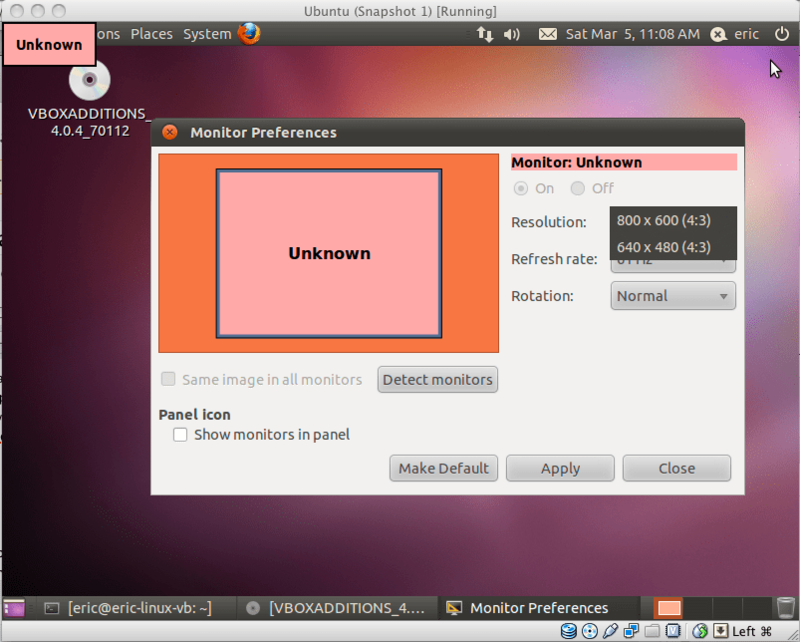 I first tried the System->Preferences->Monitors in the Ubuntu guest. But that was a dead end. Then I tried finding something in VirtualBox that would allow me to increase the virtual monitor size. 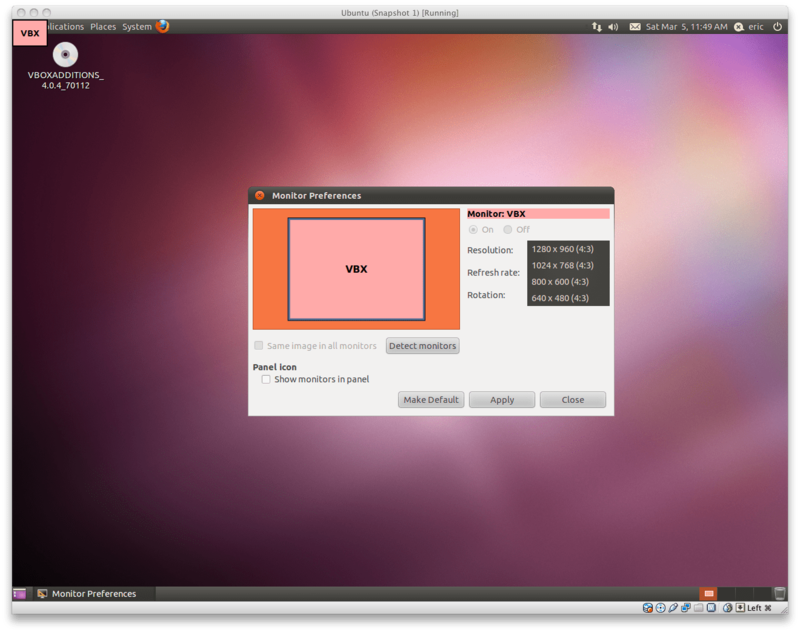 I found out that there is a VirtualBox Guest Additions image within the VirtualBox installation. It’s called VBoxGuestAdditions.iso. I could see it listed in File->Virtual Media Manager->CD/DVD Images. But I couldn’t view it as a CD-ROM within Ubuntu. When I clicked the CD-ROM icon on the bottom of the guest OS window, it wasn’t listed. Also, I couldn’t navigate to the .iso. All I had to do was mount it as a CD-ROM for the guest OS and then install it. I know where it is, it’s in the VirtualBox application folder. Except… on Mac, the contents of an Application folder aren’t navigable by default. It’s treated as a monolith for file/folder purposes. 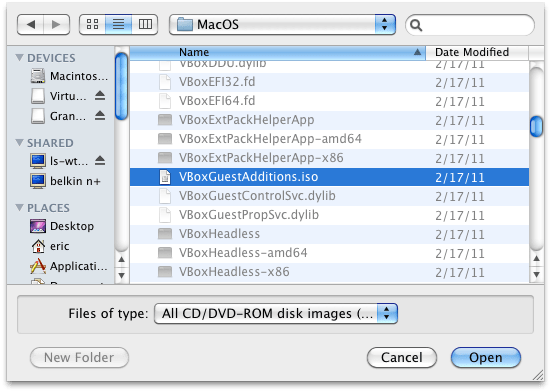 To get around this, I just navigated to my home directory (~) and created a quick soft link to the folder containing the VBoxGuestAdditions.iso. 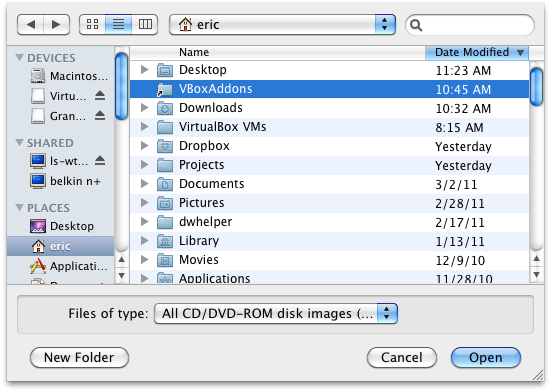 Now I could navigate to the .iso by clicking the CD-ROM on the bottom of the VirtualBox guest OS window, and choosing Choose a virtual CD/DVD disk file…. Then I just navigated to my home directory and clicked the soft link folder to view it’s contents. Inside I selected the VBGuestAdditions.iso. Now I can select the VBGuestAdditions.iso from the CD-ROM menu on the bottom of the VirtualBox guest OS window. When that finished I restarted Ubuntu. Now I’ve got a nice big 1024×768 Ubuntu window.